TNB Janamanjung Sdn. Bhd. (TNBJ)], a wholly-owned subsidiary of Tenaga Nasional Berhad (TNB) was incorporated in 1996. Located on a man-made island in Manjung District, Perak, the total land area of 325 hectares comprises of plant facilities, coal yard, 25-year ash pond and reserve land. The design of TNBJ is suitable for base-load operation with high availability, reliability and ability to participate in system frequency regulation in compliance with the Malaysian and approved international standards to operate safely and economically whilst conserving the surrounding nature. Out of the 21,628MW installed capacity-of which 11,363MW is contributed by TNB – Perak state is the largest electricity power producer in Peninsular Malaysia. In future, Perak will continue to be the largest electric power producer with 30% of power generation capacity in Peninsular Malaysia. baca lagi. 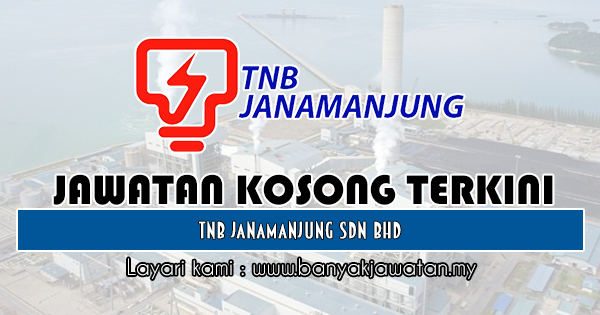 0 Response to "Jawatan Kosong di TNB Janamanjung Sdn Bhd - 1 Februari 2019"